Early October and a friendly game against Duddingston. Don't ask about the scoreline but do have a look at the latest photos up in the gallery. Once again Partick Curling Club is active in the Glasgow "Doors Open" event with the clubhouse and curling pond open to the public. 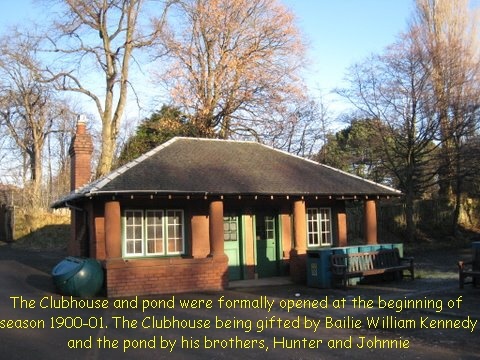 Anyone who would like to have a look at the curling pond are welcome to come along to the club house which is located in Victoria Park, on the corner of Balshagray Ave and Victoria Park Drive North. Anyone interested in more information or joining Partick Curling club are welcome to get in touch. Simply send an e-mail to membership@partickcurlingclub.co.uk or click Send Mail for more information. Twas on the 18th Feb that four men stepped onto the ice for a semi-final appearance in the Allan Medal. The tension was palpable, the crowd enormous (OK Partick league was playing on the two sheets beside us....) But to cut to the chase it was an incredibly hard fought game with virtually nothing between the two sides but Partick came out victorious with a 6-5 victory. The final end being particularly exciting with 14 stones in play and KA lying only one shot but with the hammer. The last shot of the night required the opposition to perform an 8 foot raise to push our second shot out and take a 2 and the game. Just too hard for the KA man who only just missed to take his own shot out but leave the shooter lying for a one. Next stop revenge on Cadder in the final for the Allan Cup Defeat. Update - Sadly no grand prize in the Cup. In a close final Cadder came out triumphant with a 7-4 victory. 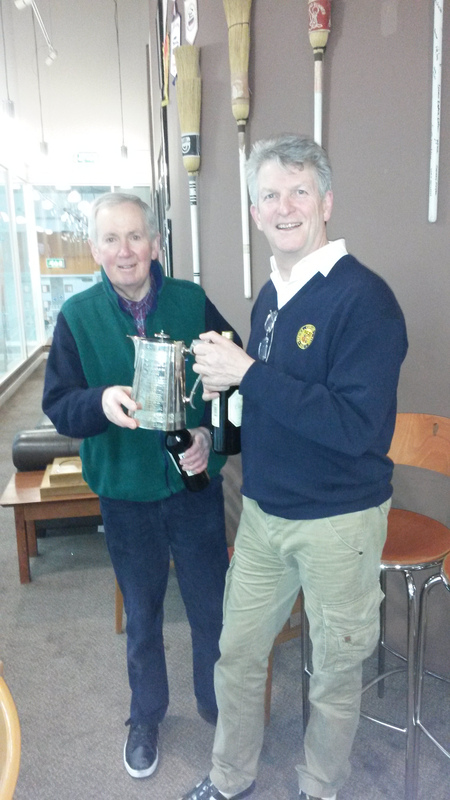 After a thrilling Pairs competition this year's winners are Roy Lauder and Graham Ross. Pairs is a super game and very active - 3 stones each and only 2 ends per game meant that it was fast and furious. There was certainly a bit of fury as distinctly lucky shots were complained about. The TMO never saw a thing! It was a close competition finishing 4-1 for Graham and Roy. Quite a marathon starting at 5.30 and finishing at 9.30 so only the fit were left standing. All the more astonishing then that the winners were Roy who is still recovering from a broken ankle and Graham is a bit over 55 lasted the pace! We recommend that you get your name in for next year. Partick Curling Club based in Glasgow provides a standard of curling which can be enjoyed by curlers of all ranges of ability. As a Partick curler you can choose to participate in all or some of the annual competitions as well as Friendly and Province games with other clubs. For over 160 years, the club has offered a friendly welcome to new members with the home games being played at Braehead. The club offers coaching to those new to the sport of curling. The Bell with its substantial mounting all on a plinth was originally used by the Village Bellman of Partick from the date it bears until 1779. In 1859 it was presented to the club and the associated Deed of Gift stipulates that it be played yearly. Additionally, there is an embargo last described in a record of 1913 on its removal from within the Burgh of Partick as therein detailed. It is in this regard that the President and the Treasurer for the time being have granted sureties.